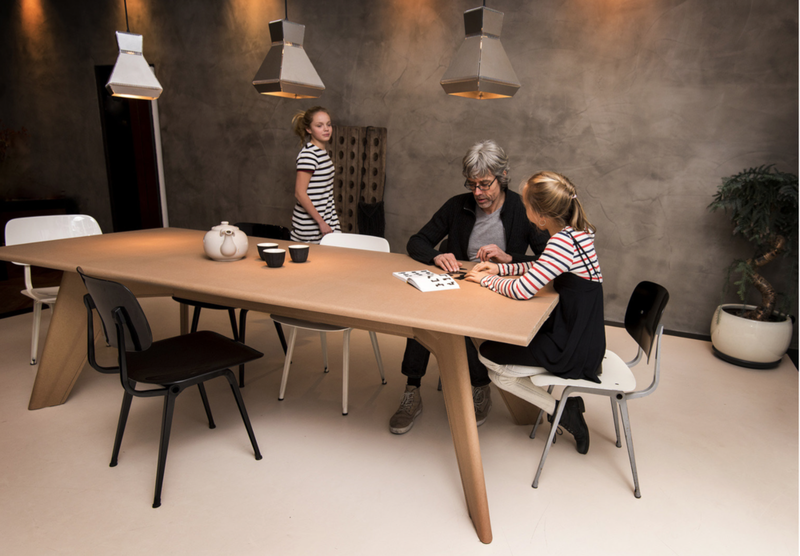 We proudly present T1: the first prototype cardboard table of our Fin collection, now for sale. By pushing the limits of the material with experimentation and craftsmanship, we have developed a surprisingly resilient, strong and water resistant table. 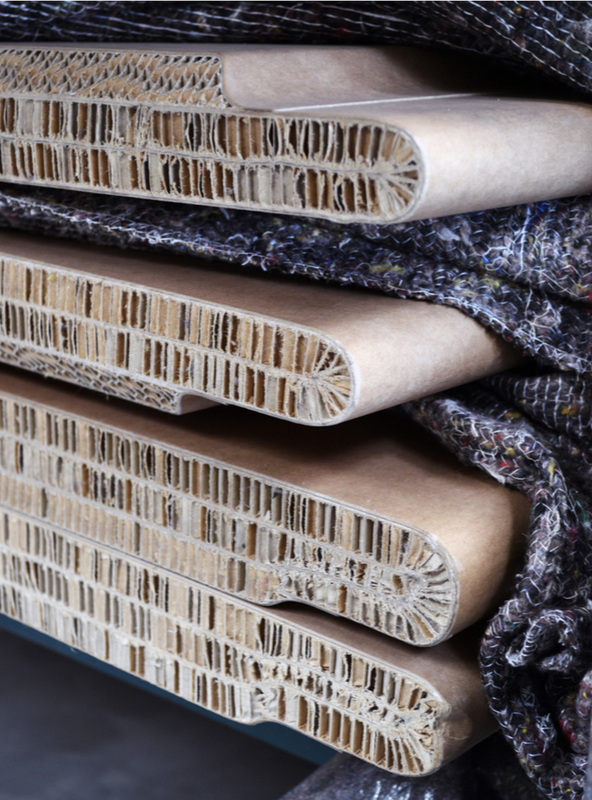 With a core material made of recycled paper and a top layer material that comes from the food-packaging industry, the table is a strong sandwich construction. It is light-weight and foldable to a flat package for shipping and by coating it with a floor wax, it becomes not only water, but also stain proof. The wax is heat-resistant up to 100 degrees C. Wine and coffee stains are easily removed with soap and water. The table can simply be cleaned with a damp cloth.